The policy debate doesn't always happen within the official policy fora such as European Commission consultations, or European Parliament committees. Especially when it comes to the Internet and online content. Certain interest groups take it into other venues. The courts are being called on the interpret the law, and the caselaw is used by courts all around Europe in the context of their judgments. This section looks at instances of legal action against Internet providers by private interest groups, or actions by Member States who are implementing laws and initiatives. Iptegrity's concern, as ever, is the protection of the open Internet and free speech. In the courts, this will be addressed in the context of the right to freedom of expression or privacy. 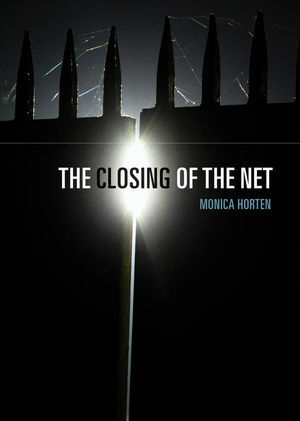 If you are interested in copyright caselaw you may like my book The Closing of the Net which discusses the UK copyright blocking judgments and the Megaupload case in New Zealand. A lesser-known provision in the French Hadopi law has been used by a Paris court to order de-indexing of websites by search engines. The order also calls for the blocking of sites by ISPs, where the domains concerned belong to a group known as ‘Allosteaming’. However, whilst the rights-holders are claiming an amazing victory, it is not quite so – due to the way the costs have been ordered. Premier League web block - a strike against free speech rights? The Premier League, which comprises the UK’s wealthiest football clubs, obtained a high court order last month blocking a Swedish website that streams football games. Since the block was put in place, media reports have suggested that it additionally knocked out access to websites such as the Radio Times, which were not subject to the court order. The ISPs wipe their hands of any blame. But case law from the European Court of Human Rights suggests that these instances are violations of free speech rights. Read more: Premier League web block - a strike against free speech rights? 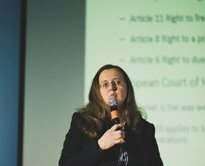 European Court Pirate Bay ruling – what rights are balanced? The Pirate Bay founders have lost their appeal to the European Court of Human Rights (ECHR), which handed down its decision on their case this week. The ECHR has upheld the Swedish judgement on the bit-torrent file-sharing site – a judgement that imposes a prison sentence and a massive damages claim, on the basis of secondary liability for copyright infringement. What’s interesting is how the ECHR views the balance of copyright versus fundamental rights. Read more: European Court Pirate Bay ruling – what rights are balanced? File-hosting liability: are German courts alone in the dark? United States government v Richard O’Dwyer: a political manoeuvre by Hollywood? Hollywood v BT: the wrong kind of knowledge?